It's never been so easy to stay connected whilst abroad. With an easy pick up and drop off service at Hong Kong International Airport, you'll enjoy unlimited WiFi access throughout your trip without the stress of sourcing WiFi once you get there. The speedy device connects up to five different phones, laptops and tablets at once and supports 4-6 hours of surfing on one battery charge. So add some spontaneity to your travels with the ability to plan on the go and keep in touch with friends and family wherever you are. 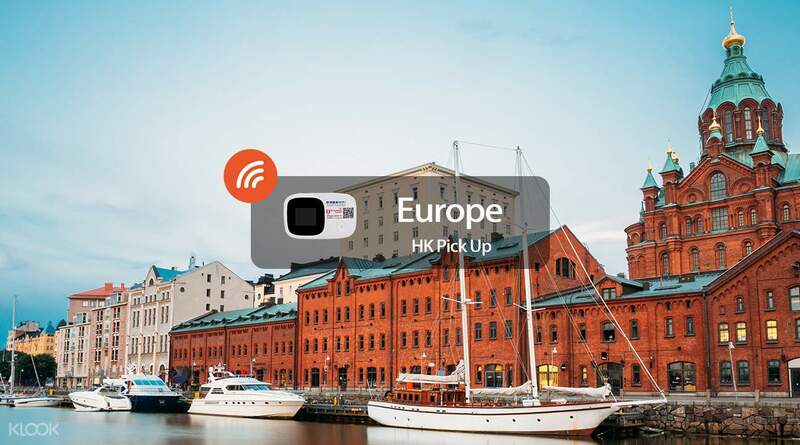 When you're departing from Hong Kong on your travels, we've got you covered with WiFi pick up at Hong Kong Airport for 45 countries in Europe on one mobile device. WiFi devices are generally available. In the rare event that it has been booked out, you will be notified at least 1 day in advance by email. Receive the pocket Wi-Fi device and start surfing! The pocket WiFi is handy and battery lasts long. However, the internet speed will slow down (very slow) when 500MB daily limit is reached. When you travel, it is so easy to reach that with map app using etc. The pocket WiFi is handy and battery lasts long. However, the internet speed will slow down (very slow) when 500MB daily limit is reached. When you travel, it is so easy to reach that with map app using etc.